1645. When Alice Hopkins' husband dies in a tragic accident, she returns to the small Essex town of Manningtree, where her brother Matthew still lives. But home is no longer a place of safety. Matthew has changed, and there are rumours spreading through the town: whispers of witchcraft, and of a great book, in which he is gathering women's names. To what lengths will Matthew's obsession drive him? And what choice will Alice make, when she finds herself at the very heart of his plan? Based on the true story of the man known as the Witchfinder General, this exquisitely rendered novel transports you to a time and place almost unimaginable, where survival might mean betraying those closest to you, and danger lurks outside every door. 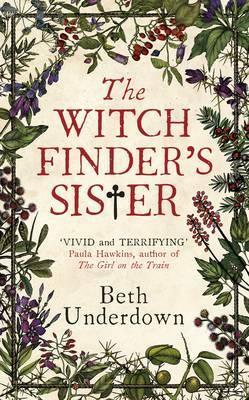 Vivid, sometimes brutally hard-to-read, fact-based fiction about Puritan witch trials in Suffolk and Essex. A reminder of how religion has been used to exercise power and control over women by men (and to a lesser extent by other women).